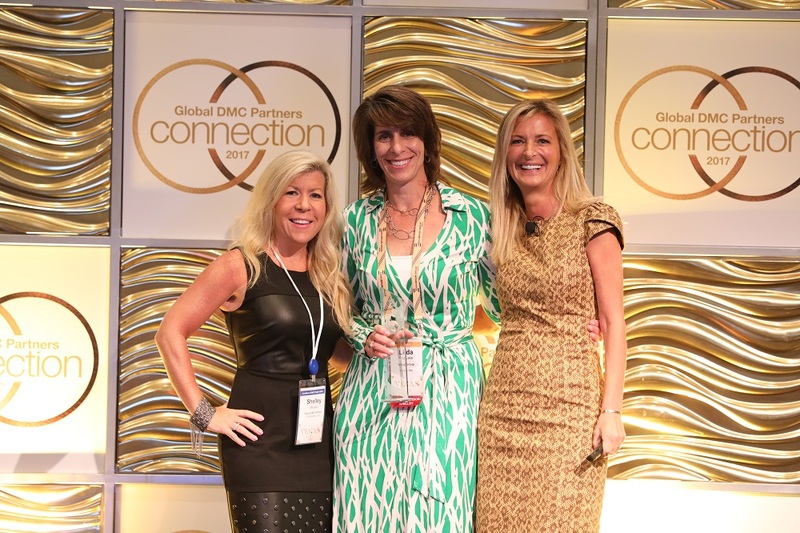 Global DMC Partners, the largest global network of Destination Management Companies (DMCs), launched two inaugural client awards – the Rising Star and Global Planner of the Year – and revealed its U.S. 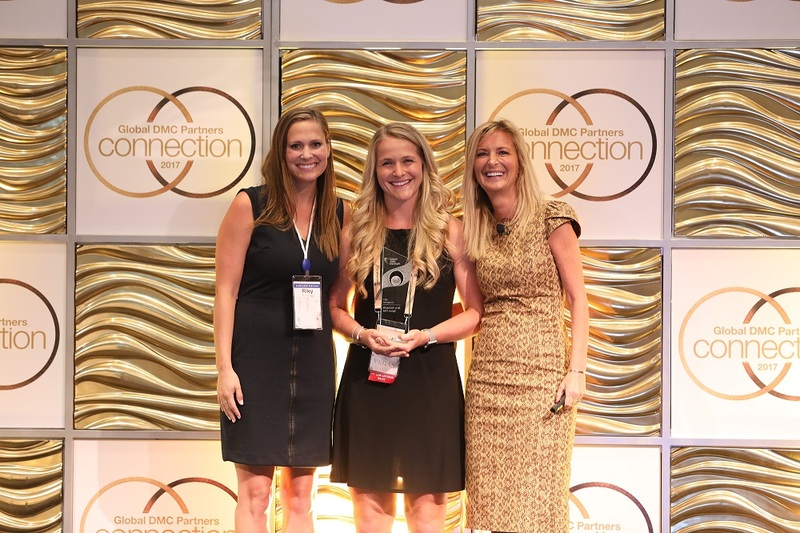 Partner of the Year and International Partner of the Year at their annual Connection in Las Vegas, NV on Saturday, August 26. 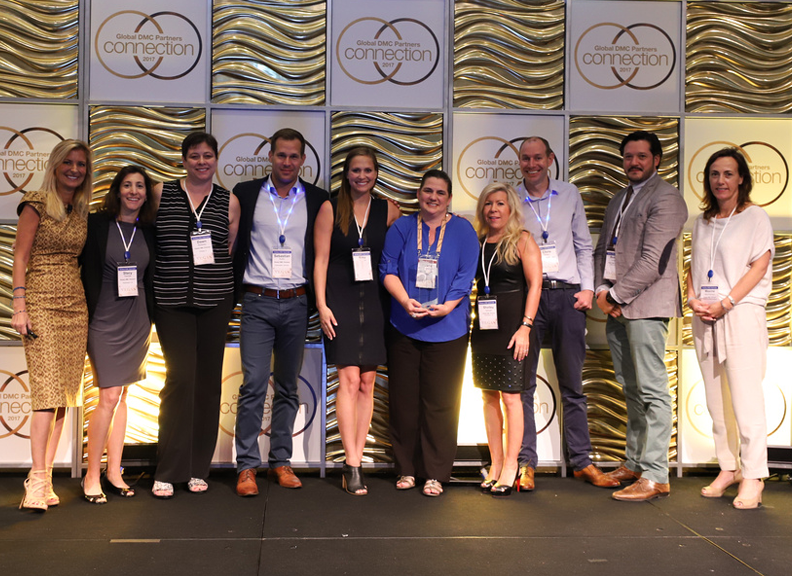 Client award winners included Brie Richards from Spear One, who was given the 2017 Rising Star award, and Linda Pasquale with Allegis Group, who was declared 2017 Global Planner of the Year. Deana Mitchell owner of Denver-based, Realize Colorado, won the 2017 U.S. Partner of the Year award, and the International Partner of the Year Award was presented to Bernard O’Reilly of Joe O’Reilly Ireland DMC. after thoughtful review of the award winners’ customer loyalty, dedication to Global DMC Partners’ growth and success, and meetings and incentives industry involvement. The Partner of the Year Awards are presented annually to the highest-achieving DMCs out of a pool of over 65 DMC Partners. Each award winner must exceed specific selection criteria based on creativity, quality, operational excellence, customer satisfaction, and active involvement within Global DMC Partners. 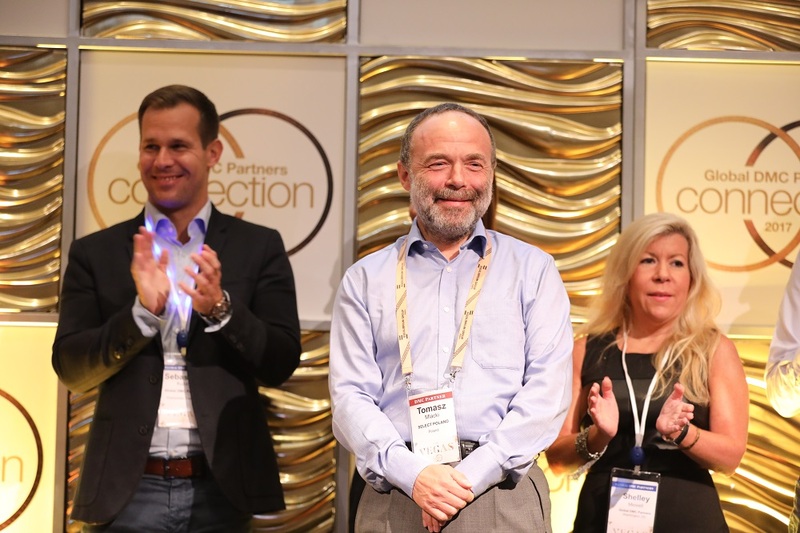 At the conclusion of the awards ceremony, Global DMC Partners announced that Connection 2018 will be hosted by SELECT POLAND from August 16-19, 2018 at the Sheraton Warsaw Hotel in Warsaw, Poland. Registration for the exclusive event will be open in early 2018. 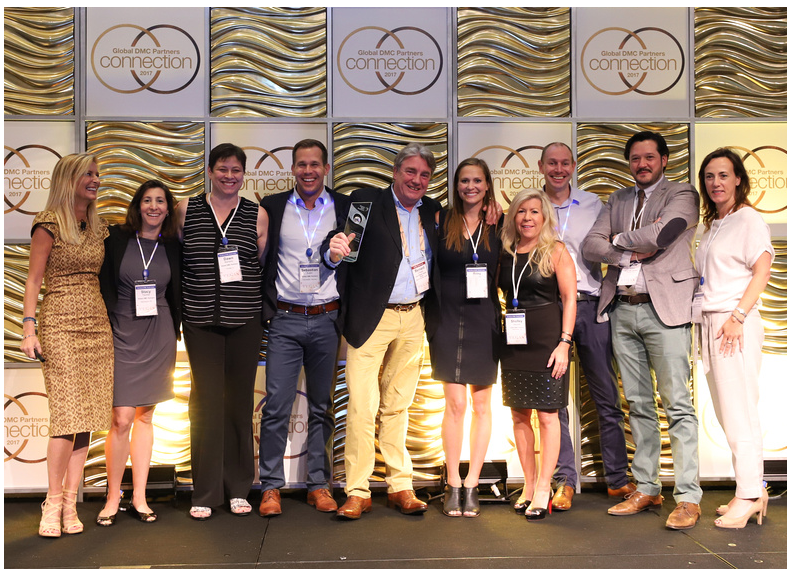 Hosted by Fudale, A Global DMC Partner, and MGM International Resorts, the Global DMC Partners Connection 2017 took place from August 24-27 at the Bellagio Resort & Casino in Las Vegas, NV. Over 200 meeting professionals, including qualified planners, DMC leaders, the Global DMC Partners senior team, and industry sponsors, were invited to the conference to learn about key industry trends and the current global outlook, share and learn best practices, meet one-on-one with DMCs and sponsors, and network with their peers.